The Carroll Store, located on the Carroll Center campus, specializes in providing low vision products, adaptive devices, and technology for the blind and visually impaired. You may purchase products online, over the phone or in-person. Don’t see an item you are looking for? Items not kept in stock may be special ordered if prepaid. 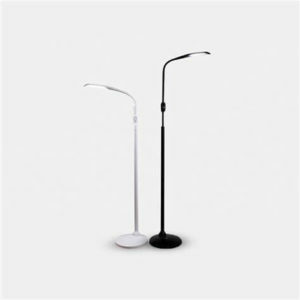 Our optical services specialize in low vision aids for children and adults who are visually impaired, which includes telescopes for distance vision, prism lenses, magnifiers for near vision, as well as electronic aids. Our high-quality lenses are available in all prescriptions and highly customizable. From lenses that turn into sunglasses with UV or glare protection, to goggles for sports as well as a great selection of fit-over and polarized sunglasses. 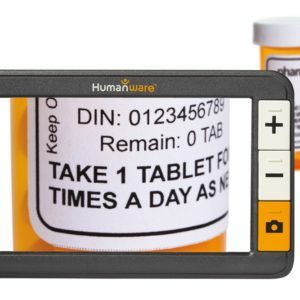 Not ready to buy a video magnifier? 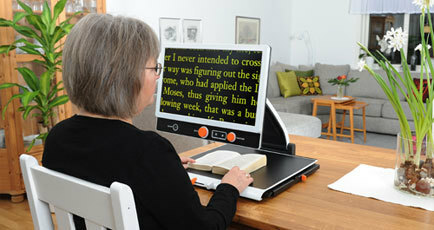 We have many leasing options on a wide-variety of desktop and portable video magnifiers. Leasing costs range from $25 to $60 per month. Visit or call for the latest inventory. You can pay for mail orders or in-store purchases by cash, check, MasterCard, Visa, American Express, or Discover; Online orders accept PayPal and all major credit cards. We also have gift certificates available in amounts of $10, $25 and $50!